These Mobile Banking and Mobile Deposit Disclosures and Agreements, and Terms and Conditions Applicable to the Use of Third Party Digital Wallets, as amended from time to time (“Disclosures and Agreement”) set forth the terms and conditions governing the use of POPA Federal Credit Union’s: A) Mobile Banking service; and B) Mobile Deposit service as well as the use of third party digital wallet mobile applications. Please read these Disclosures and Agreements completely and retain them with your personal records. By using, or allowing another person to use, the Mobile Banking and/or Mobile Deposit services offered by POPA Federal Credit Union, or a third party digital wallet mobile application to which you have uploaded your POPA Federal Credit Union Debit Card or Credit Card information, you are agreeing to be bound by the terms and conditions of these Disclosures and Agreements. In these Disclosures and Agreements, the terms “you” and “your(s)” refer to the Member, and the terms “we”, “us”, “our(s)” and “Credit Union” refer to POPA Federal Credit Union. By accessing the Mobile Banking and Mobile Deposit services, or uploading your POPA Federal Credit Union Debit Card or Credit Card information to a third party digital wallet mobile application, you acknowledge and accept electronic receipt of the Credit Union’s Disclosures and Agreement. You agree that you have read these Disclosures and Agreement in its entirety and will abide by its terms and conditions. You understand that the Credit Union will not provide you with an additional paper (non-electronic) copy of these Disclosures and Agreements unless you specifically request it. All fees or charges associated with the Mobile Banking and Mobile Deposit services are disclosed in our Fee Schedule, as amended from time to time, a copy of which accompanies these Disclosures and Agreements. At any time, in our discretion, we may add to or modify disclosed fees, subject to any prior notice requirements under applicable law (see Amendments). Your continued use of the Mobile Banking and Remote Deposit services after the change becomes effective shall constitute your agreement to pay the disclosed fee. You may designate in writing the account from which such fees may be charged; however, you authorize us to charge such fees to any account you maintain with us in the event that a specific account has not been designated by you in writing or if there are insufficient funds in the designated account. We may periodically audit the Mobile Banking and Mobile Deposit services and infrastructure. From time to time, the Credit Union may disable the Mobile Banking and Mobile Deposit services without prior notice for scheduled maintenance and upgrades to the system. In the event the Mobile Deposit service is unavailable, you may deposit the original item in person at a Credit Union branch location during regular business hours, at a Credit Union ATM, or by mailing the item to us at 13304 Alondra Blvd., Cerritos, CA 90703. For the Mobile Banking service, you may visit us in-person, call us at 800.369.7672 or 562.229.9181 or log into the Online Banking service. We may periodically audit your individual transactions and use of the Mobile Banking and Mobile Deposit services to verify your compliance with this Agreement. You agree to cooperate with any such audit and to provide, at your expense, such information or documents as we may reasonably request. c) You or any authorized signer on your account requests that we do so. Contact the manufacturer of your mobile device or your cellular service provider to alert them. Obtain instructions on how to remotely backup, wipe and lock your mobile device. Request information about how to obtain a replacement device. Contact the Credit Union to suspend your Mobile Banking and/or Mobile Deposit services and confirm that no unauthorized transactions have occurred. Except as stated otherwise in the Disclosures and Agreements, these Disclosures and Agreements does not alter or amend any of the terms or conditions of any other agreement you may have with the Credit Union. If any part of these Disclosures and Agreements should be held to be unenforceable, the remaining provisions of these Disclosures and Agreements shall remain in full force and effect. The Mobile Banking service allows you to access your account information through your mobile device. You may access the Mobile Banking service either by mobile application or mobile Web browser. The Mobile Banking service also allows you to request and receive account information and notification via text message. You may also access the Bill Pay service through the Mobile Banking service. For further detailed information about the Online Banking and Bill Pay services, refer to the separate, “About Your Accounts” Truth in Savings Disclosure, which is incorporated herein by this reference. To access the Mobile Banking service using the Mobile Web Banking option, visit www.popafcu.org on your mobile Web browser. To access the Mobile Banking service using the application option, download the POPA Federal Credit Union Mobile Application from your device’s application store. The Operating System version must be compatible with the latest version of the application, as determined by your device’s application store. Restrictive Endorsement Required: Prior to creating an Electronic Image of a check, you must add the words “For Mobile Deposit at POPA FCU Only,” your Credit Union account Number, and your signature endorsement to the back of the check, or as otherwise instructed by the Credit Union. The Credit Union reserves the right to refuse to accept any check for deposit through the Mobile Deposit service that does not bear the above restrictive endorsement. An “Electronic Image” must contain: (i) a complete, legible and accurate image of the front of the check showing the name of the drawer/payor, signature(s), the paying bank’s pre -printed information, MICR encoded information, the name of the payee and the payment amount information; and (ii) a complete, legible and accurate image of the back of the check showing your signature endorsement. Certain check items may not be processed using the Mobile Deposit service. Please see complete Terms and Conditions for details. You will receive a monthly account statement reflecting all of your transactions unless there is no activity in a particular month and in any case you will receive a statement at least quarterly. If you have arranged to have direct deposits made to your account at least once every sixty (60) days from the same person or company, you can call us at 800.369.7672 or 562.229.9181 to find out whether or not the deposit has been made. If the only possible transfers to or from your account are direct deposits or pre-authorized deposits, you will get at least a quarterly statement from us. You can also use our Phone Banking service or log into Online Banking or Mobile Banking to confirm that we have received your deposit. If you believe your PIN or access code has been lost or stolen or someone has transferred or may transfer money from your account without your permission, call us at 800.369.7672 or 562.229.9181 or write us at 13304 Alondra Blvd., Cerritos, CA 90703. You should also call the number or write to the address listed above if you believe a transfer has been made using information from your check without your permission. 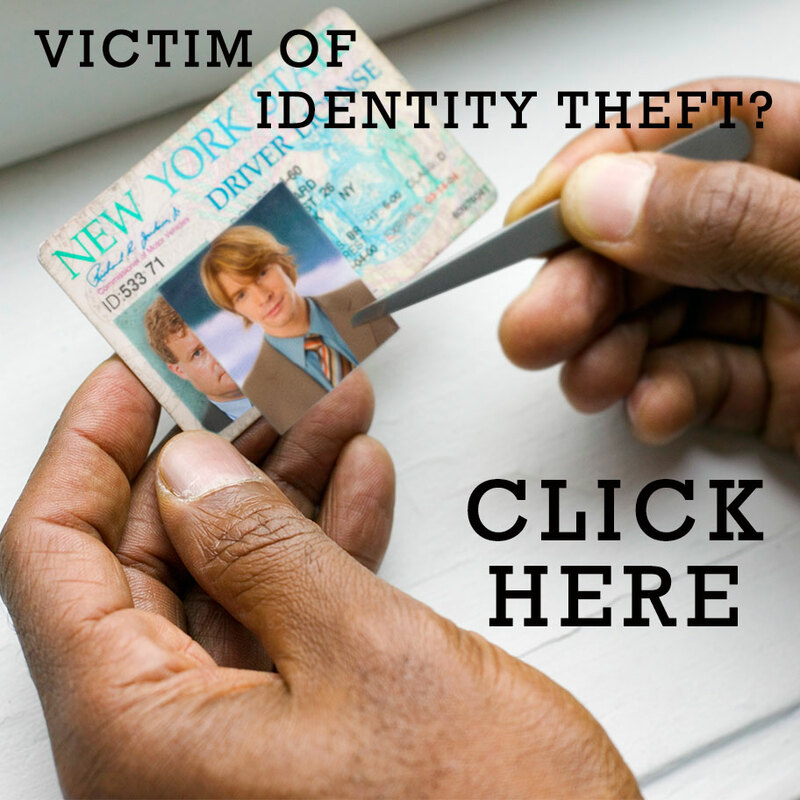 Tell us AT ONCE if you believe your Personal Identification Number (PIN) or Access Code has been lost or stolen, or if you believe that an electronic transfer has been made without your permission using information from your check. You could lose all the money in your account (plus your maximum overdraft line of credit if you have one with us). If you tell us within two (2) business days, you can lose no more than $50 if someone used your PIN or Access Code without your permission. If you DO NOT tell us within two (2) business days after you learn of the loss or theft of your PIN or Access Code, and we can prove that we could have stopped someone from using your PIN or Access Code without your permission if you had told us, you could lose as much as $500. Also, if your statement shows transfers that you did not make, tell us at once. If you do not tell us within sixty (60) days after the statement was mailed to you, you may not get back any money you lost after the sixty (60) days if we can prove that we could have stopped someone from taking the money if you had told us in time. If a good reason (such as a long trip or a hospital stay) kept you from telling us, we will extend the time periods. If you have authorized someone else to use the PIN or Access Code, you are responsible for all transactions that person or persons initiates at any time, even if the amount or transactions exceed what you may have authorized. You will select a Personal Identification Number (PIN). This number should be memorized. Your accounts can only be accessed by the use of an access device with the PIN. If you forget your PIN, contact the Credit Union to re-set your PIN. You are solely responsible for maintaining the security of your mobile device and, except as otherwise provided in this Agreement or under applicable law, you are responsible for all transfers made and communication submitted using your mobile device. You acknowledge that Mobile Banking may display sensitive information about you and your accounts, including balances and transfer amounts and that anyone with access to your mobile device may be able to view this information. We are not liable for any damages or disclosure of information to third parties due to your inability to ensure the security and integrity of your account and transactions when using Mobile Banking. Notwithstanding our efforts to make Mobile Banking secure, you acknowledge that the Internet is inherently insecure and that certain types of mobile communications (such as text messages) are not encrypted and can potentially be read by others. We cannot and do not warrant that all such transfers with Mobile Banking or e-mail transmitted to and from us, will not be monitored or read by others. i) the failure to complete the transaction is done to protect the integrity of the system or to protect the security of your account. There may be other exceptions not specifically mentioned above. The Credit Union may change the terms and conditions of this Agreement from time to time by mailing written notice to you at your address as it appears on our records. If any change results in greater cost or liability to you or decreases access to your accounts, you will be given at least twenty-one (21) days prior notice of the change. Prior notice may not be given where an immediate change in terms or conditions is necessary to maintain the integrity of the system and/or the security of our services or designated accounts. Telephone us at 800.369.7672 or 562.229.9181 or write us at 13304 Alondra Blvd., Cerritos, CA 90703 as soon as you can, if you think your statement or receipt is wrong or if you need more information about a transfer listed on the statement or receipt. We must hear from you no later than sixty (60) days after we sent the FIRST statement on which the problem or error appeared. We will determine whether an error occurred, tell you the results of our investigation within ten (10) business days after we hear from you and will correct any error promptly. If we need more time, however, we may take up to forty-five (45) days to investigate your complaint or questions. If we decide to do this, we will credit your account within ten (10) business days for the amount you think is in error, so that you will have the use of the money during the time it takes us to complete our investigation. If we ask you to put your complaint or question in writing and we do not receive it within ten (10) business days, we may not credit your account. For errors involving new accounts, point-of-sale, or foreign-initiated transactions, we may take up to ninety (90) days to investigate your complaint or question. For new accounts, we may take up to twenty (20) business days to credit your account for amount you think is in error. If you assert an error within thirty (30) days after you make the first deposit to your account, we will have twenty (20) business days instead of ten (10) business days. If you give notice of an error within thirty (30) days after you make the first deposit to your account, or notice of an error involving a transaction initiated outside the U.S., its possessions and territories, we will have ninety (90) days instead of forty-five (45) days to investigate. According to Regulation D (12 CFR, Part 204), no more than six preauthorized, automatic, online or telephonic transfers made to another account at the Credit Union or to a third party or no more than six transfers or withdrawals made by check, draft, debit card or similar order payable to a third party may be made from each savings account or money market deposit account in any calendar month. If an Account Holder exceeds, or attempts to exceed, these transfer limits, the excess transfer requests may be refused or reversed, a fee may be imposed on the excess transfer requests, and the Credit Union may reclassify or close the account. Transfers initiated by telephone must be counted among the six monthly transfers, except that there are no limits on the number of withdrawals paid directly to an Account Holder when initiated by mail, telephone or messenger. There are no limits on the number of withdrawals if initiated in person. PayPal® is a person to person (P2P0 feature that allows you to send money from your account to anyone in 190 countries. You do not need to register for a PayPal® account before using the feature. In order to complete a payment, you will need to know the email address or mobile phone number of the recipient. Funds are immediately debited from your account as well as any associated fees. You are solely responsible to ensure that the recipient information you provide is accurate. A service charge as stated on the Fee Schedule will be assessed against your account for each PayPal® transaction you initiate. You will be asked to designate the transaction type: personal (sending money to family or friends) or business (paying for goods or services). selecting “business” may result in an additional fee assessed by PayPal® against the recipient. The maximum allowable amount per transaction is $500. The maximum allowable amount per sender during a 24-hour period is $1,500. The maximum allowable amount per recipient during a 24-hour period is $1,500. Mobile Deposit is a service that allows you to deposit a check into your Credit Union account from anywhere with cellular data connectivity by using the POPA Federal Credit Union Mobile Application and your mobile device to take and send an Electronic Image of the item. It eliminates the need to deliver the paper item to the Credit Union. • You have an account opened for a minimum of six (6) months. The Credit Union may, in its discretion, waive this requirement on a case by case basis. The Credit Union reserves the right in its discretion to limit or restrict services to any member in accordance with Credit Union policy and applicable law. You must also have the POPA Federal Credit Union Mobile Application installed on your mobile device and must be enrolled in the Online Banking service. The POPA Federal Credit Union Mobile Application can be downloaded from your device’s application store. The Operating System version must be compatible with the latest version of the application. Prior to creating an Electronic Image of a check, you must add the words “For Mobile Deposit at POPA FCU Only,” your Credit Union account number, “POPA Federal Credit Union,” and your signature endorsement to the back of the check, or as otherwise instructed by the Credit Union. An “Electronic Image” must contain: (i) a complete, legible and accurate image of the front of the check showing the name of the drawer/ payor, signature(s), the paying bank’s pre-printed information, MICR encoded information, the name of the payee and the payment amount information; and (ii) a complete, legible and accurate image of the back of the check showing your signature endorsement. Items that are traveler’s checks or savings bonds. Items that are drawn on your POPA Federal Credit Union account. You agree to follow any and all other procedures and instructions for use of the Mobile Deposit service as the Credit Union may establish from time to time. Failure to do so may result in your transaction(s) not being processed and/or the removal of the Mobile Deposit services. For K-9 Savers Accountholders, the maximum amount you may deposit on any day is $500 and a maximum aggregate monthly deposit limit of $1,000. For all other Accountholders, the maximum amount you may deposit on any day is $5,000 and a maximum aggregate monthly deposit limit of $15,000. We reserve the right to modify this limit from time to time. You agree that the mere scanning and transmitting of an Electronic Image does not constitute receipt by the Credit Union. When you transmit an Electronic Image for deposit we will indicate that we have received it by providing you with a confirmation message. You understand and agree that the receipt of a confirmation message does not mean the Electronic Image will ultimately be accepted by us. All deposits made through the Mobile Deposit service are subject to review and verification by us. We will review each Electronic Image received to determine whether it is eligible for processing. If eligible, we will: (a) present the Electronic Image directly or indirectly to the bank on which the original check is drawn or through which the original check is payable (“Paying Bank”); (b) create a substitute check that we will present directly or indirectly to the Paying Bank; or © if we are the Paying Bank, present or post the Electronic Image. If we determine for any reason that the Electronic Image is illegible, incomplete, or otherwise ineligible for processing, we will require you to present the original item for deposit. It is your responsibility to retain the original item for a reasonable period of time to ensure that it is properly credited to your account. The Credit Union is not responsible for errors in Electronic Images that may prevent or delay the deposit of funds into your account. The Credit Union is not responsible for any image that we do not receive for any reason, including transmission interruptions. Items transmitted using the Mobile Deposit service are not subject to the funds availability requirements of Federal Reserve Board Regulation CC, and therefore longer hold delays may apply to these deposited items. Deposits received before 4:00 p.m. Pacific Time on a business day the Credit Union is open (a “business day” is any day except Saturdays, Sundays and holidays) will be credited to your account on the fourth (4th) business day after the day we receive your deposit. Deposits received after 4:00 p.m. Pacific Time on a business day the Credit Union is open will be credited on the fifth (5th) business day after we receive your deposit. Funds that you deposit using the Mobile Deposit service may not be immediately available to you. For K-9 Savers Accountholders, the first $100 of your deposits may be made available on the first business day. For all other Accountholders, the first $1,000 of your deposits may be made available on the first business day. It is your responsibility to ensure the safekeeping or destruction of the original item after the item has been transmitted. You should securely store each original check(s) for a period of sixty (60) days after you receive confirmation that your deposit has been accepted. Please note that you are solely responsible for the security and storage of the original checks and you are solely liable for any loss or misappropriation of these checks. Original checks that are no longer stored should be disposed of in a secure manner designed to ensure that they cannot be read or recreated. If you believe there has been an error with respect to any original check or Electronic Image transmitted to the Credit Union for deposit, call us at 800.369.7672 or 562.229.9181 or write us at 13304 Alondra Blvd., Cerritos, CA 90703. You will be asked to produce the original item and may be asked to complete a written statement in support of your claim. The Credit Union may change the terms and conditions of this Agreement from time to time by sending written notice to you at your address as it appears on our records. If any change results in greater cost or liability to you or decreases access to your accounts, you will be given at least thirty (30) days prior notice of the change to the extent required by applicable law. Prior notice may not be given where an immediate change in terms or conditions is necessary to maintain the integrity of the system and/or the security of the Mobile Deposit service or designated accounts. The original check has not and will not be: (i) deposited; (ii) endorsed to a third party; or (iii) otherwise negotiated or submitted for payment, after transmitting the digital image through the Mobile Deposit service. Any files and images transmitted to the Credit Union will not contain any viruses or any other disabling features that may have an adverse impact on the Credit Union’s network, data, or related system. Image through the Mobile Deposit service. You will not attempt to present a duplicate Electronic Image. Your failure to securely maintain your hardware, your security credentials, or to securely maintain or dispose of any original check. This section shall survive the termination of the Mobile Deposit service. A digital wallet is a mobile application owned or operated by a third party that allows you to upload and store your debit card or credit card information device in order to facilitate payments using your mobile device without using the physical card (“Digital Wallet”). Examples of digital Wallets may include, but are not limited to, Apple Pay®, Google Pay®, Samsung Pay®, and Masterpass®. POPA Fdederal Credit Union does not charge a fee to add your POPA Debit/Credit Card to a Digital Wallet. However, a service charge as stated in our Fee Schedule will be assessed against the applicable Debit/Credit Card account for each Digital Wallet transaction you initiate. In addition, you are responsible for any interest, fees, or other charges applicable to your POPA Debit/Credit Card account. You may be subject to additional fees assessed by the third party Digital Wallet mobile application service provider (“Third Party Digital Wallet Provider”) and any applicable wireless/data charges. Available transactions may include using your POPA Debit/Credit Card to: (a) transfer money between you and others who are enrolled with or otherwise eligible to receive funds through the applicable Third Party Digital Wallet Provider; and (b) initiate transactions with merchants, online and other third parties where the applicable Digital Wallet is accepted. 1. Your use of a third party Digital Wallet is governed by the terms and conditions of the Third Party Digital Wallet Provider. The terms and conditions contained in this Agreement, your Truth in Savings Act Disclosure and Account Agreement (“TISA”), and your applicable POPA Debit/Credit Card agreement (“Card Agreement”) with POPA Federal Credit Union, as amended from time to time, are unchanged by your use of a Digital Wallet and will remain in effect. 2. You may add your POPA Debit/Credit Card to a Digital Wallet by following the instructions provided by the operator of the applicable third party application. Once you add your POPA Debit/Credit Card, any transaction for which you initiate payment using the Digital Wallet will be charged against the applicable POPA Debit/Credit Card account in the same manner as if you had used the physical card. (a)	When you add your POPA Debit Card to the Digital Wallet, you are solely responsible to ensure that there are sufficient available funds in your underlying POPA Federal Credit Union checking account for any transactions initiated using the Digital Wallet. Insufficient available funds may result in overdraft fees as set forth in your TISA. (b)	When you add your POPA Credit Card to the Digital Wallet, you are solely responsible to ensure that there is sufficient available credit on your underlying POPA Federal Credit Union credit card account for any transactions initiated using the Digital Wallet. Insufficient available credit may result in over-the-limit fees as set forth in your Card Agreement. 3. A Digital Wallet will generally only display information about Digital Wallet transactions we authorize, but information shown may not be complete, current, updated to reflect subsequent adjustments, or match the transaction amount that ultimately posts to your account. Transactions and activity not initiated through the Digital Wallet will not be reflected. Please refer to your POPA Debit/Credit Card account statement for the most accurate information. 4. We reserve the right, in our sole discretion, to revoke your authorization to use your POPA Debit/Credit Card in connection with the Digital Wallet at any time, with or without advance notice, if at any time we stop offering the service or if your POPA Debit/Credit Card, or any POPA Federal Credit Union account on which you are an owner: (a) becomes delinquent; (b) is in a negative status; or © is otherwise maintained in a manner deemed by POPA Federal Credit Union to be unsafe, unsound, abusive, or in violation of Credit Union policy or any agreement you may have with the Credit Union. 6. Any claims or disputes arising from the operation or your use of the Digital Wallet shall be subject to the terms established by the Third Party Digital Wallet Provider. POPA Federal Credit Union is not responsible to ensure that the Digital Wallet functions properly or that your POPA Debit/Credit Card information is uploaded or stored accurately or securely. We are not responsible to ensure that the Digital Wallet performs as expected, or for any loss or injury you may suffer as a result of any delay or failure by the Digital Wallet to perform as expected. We are not responsible to ensure that the Third Party Digital Wallet Provider performs according to the terms of any agreement you may have with them, or for any loss or injury you may suffer as a result of any delay or failure by the Third Party Digital Wallet Provider to perform according to the terms of such agreement. This does not serve to alter your rights with regard to unauthorized transactions, as stated in your TISA or Card Agreement, as applicable. 7. POPA FEDERAL CREDIT UNION SHALL NOT BE LIABLE FOR ANY INDIRECT, INCIDENTAL, CONSEQUENTIAL, SPECIAL, EXEMPLARY OR PUNITIVE DAMAGES, INCLUDING LOST PROFITS OR LOSS OF DATA, ARISING FROM YOUR USE OF THE DIGITAL WALLET OR YOUR ADDITION OF A POPA FCU DEBIT/CREDIT CARD TO THE DIGITAL WALLET. POPA FEDERAL CREDIT UNION MAKES NO REPRESENTATIONS OR WARRANTIES, EITHER EXPRESS OR IMPLIED (INCLUDING BUT NOT LIMITED TO, WARRANTIES OF MERCHANTABILITY, FITNESS FOR A PARTICULAR PURPOSE, AND NON-INFRINGEMENT OF INTELLECTUAL PROPERTY RIGHTS) WITH REGARD TO ANY THIRD PARTY DIGITAL WALLET.